Kelsey Harmon is a marketing specialist at Kalypso, acting as the editor in chief of Viewpoints on Innovation and supporting both inbound and outbound marketing efforts. Prior to joining Kalypso, Kelsey worked as a leader in both retail and theme park operations at the Walt Disney World Resort, where she implemented organizational change initiatives across mutliple divisions while leading diverse teams of over 600. She is a motivated, passionate individual who brings over three years of social media marketing experience to her role at Kalypso. Kelsey holds a Bachelor of Arts degree in both Anthropology and Spanish from Texas State University where she authored an original thesis on the use and cultivation of khat in Ethiopia. 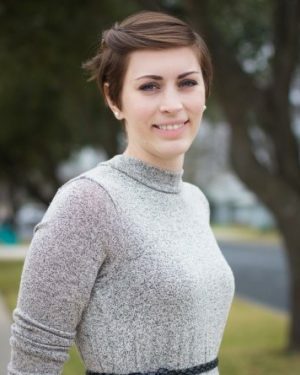 Kelsey supports Kalypso’s inbound and outbound marketing efforts through content curation for both The Kalypsonian and InnoSalute blog, strategic lifecycle and channel marketing campaigns, and managing internal communication programs. She also assists in the planning and management of industry events. Kelsey is based out of Orlando, FL and loves spending time at the beach and scuba diving. She enjoys learning tricks on the flying trapeze whenever possible and is always planning for her next traveling adventure.